Mie University | "Studying Abroad and International Career Development Program 2016" was held. 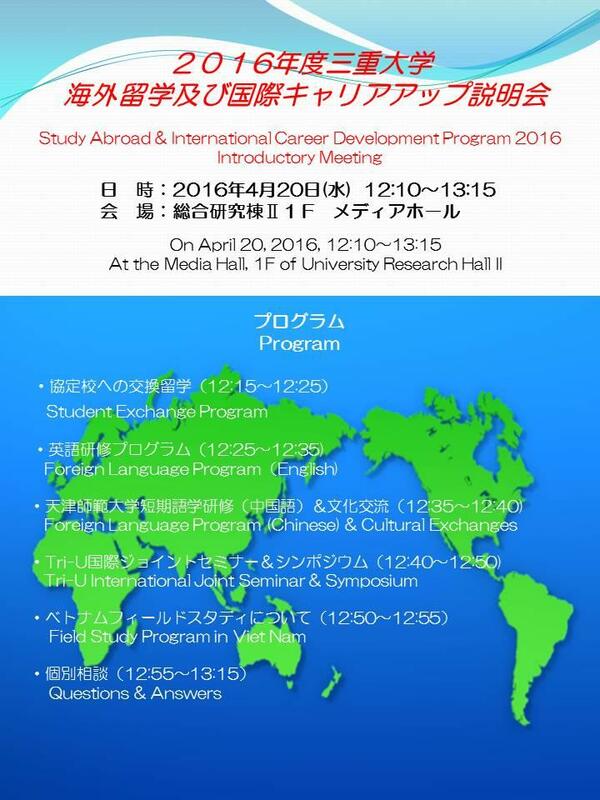 "Studying Abroad and International Career Development Program 2016" was held. For the development and cultivation of internationalization among the personal, 5 programｓ which International Relations is promoting were introduced. 51 students participated in this meeting and had description of the various programs such as Student Exchange Program, Short Programs for International Education, Foreign Language Program. They listened intently to get some information about the programs they wish to join.